I originally posted this article at Scientific American on July 13, 2011. The above Pecha Kucha talk was presented at the Staerkel Planetarium in November 2011. 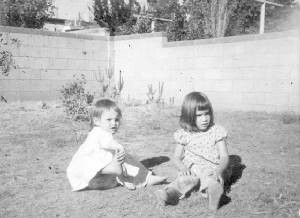 Imagine a dark haired little girl of not quite four years old, playing outside in a cotton dress in the warm dusk of July 30, 1969, in Albuquerque, New Mexico.